Wakanda Oh Snap vs. Dimitri Vegas & Like Mike Remix Dimitri Vegas & Like Mike & Oh Snap! 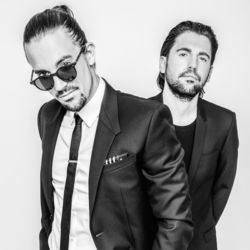 Discover more playlists and music by Dimitri Vegas & Like Mike on PLAYLISTED. Like You're Next, Selfish (M-22 Remix), Selfish (Syn Cole Remix) and Complicated (feat. Kiiara) (Brennan Heart Remix).